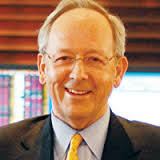 The fightin' team at FBR Small Cap is led by Chuck Akre, who has been named to Barron's list of top mutual fund managers for the past three years running. Call it a rare moment of clarity for the Street's stockinistas. Akre's picks have returned a little more than 17% annually since the fund's beginnings in December of 1996, besting the benchmark Russell 2000 index by more than 8% a year. That's an enviable record, to be sure. More enviable is that Akre isn't running the hamsters on overdrive in a back room to spreadsheet his way to success. Instead, he's a liberal arts guy, with a degree in English from American University. That means he has a keen eye for both a good read and a good stock story. Plus, he's a poker player, which means he isn't afraid to go "all in" when he finds a stock worth betting on, such as slot machine operator Penn National Gaming. Akre told me in an interview earlier this week that the stock trades for roughly 10 times free cash flow, but has grown book value by more than 30% over the past several years. Eat that, Wall Street. Entrepreneurship comes naturally to Akre in investing. In 1989, he established Akre Capital Management (ACM). By 1996, however, he was manager of FBR Small Cap as a Friedman, Billings, Ramsey employee. It didn't take; ACM became an independent entity once again in 1999. Today, Akre is a subadvisor for FBR Small Cap, and he's just as interested in investing in entrepreneurs as being one. For example, 99 Cents Only Stores, a top 10 holding, is still overseen by chairman and founder David Gold. He also prefers to focus assets on his best ideas. Consider 99 Cents Only Stores again; Akre first acquired shares sometime between July and October of 2004. Investors have since punished the shares, but Akre has remained steadfast, sticking it to the growth huggers by boosting his position by more than 57%. And that's just one stock. Of all of FBR Small Cap's holdings, the top 10 account for 72.6% of the fund's assets. Now that's what I call focus. I mean, really, if you're going to concentrate, at least have the guts to do it right. Akre does that in spades. Matching performance of Chuck Akre by investing same stocks.